Mr. Holland, an elderly bank official, has dreamed for years of stealing some of the gold bullion which he handles daily. When he meets Pendlebury and they think of a way of getting the gold out of the country his dreams look like coming true. 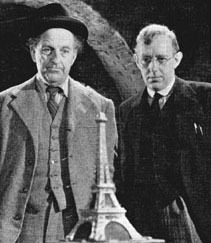 They enlist the aid of two professional crooks, steal the gold, and get it to France by transforming it into worthless-looking souvenirs of the Eiffel Tower. Everything goes according to plan until six of the souvenirs are sold by mistake to some English schoolgirls. One of them refuses to return hers. Holland and Pendlebury follow the schoolgirl. She goes to a police exhibition and gives it to a policeman friend. A detective notices them eying the tower, remembers that they were witnesses in the bullion case and places it in some nitric acid to test for gold. It registers positive. Holland grabs the tower and a chase ensues. They escape in a police car using the car radio to put the police off the scent. They engineer a crash, putting all police radios out of action. The correction of the fault leads to Pendlebury's capture but Holland manages to escape. He has a brief but pleasant sojourn in South America before the police catch up with him. 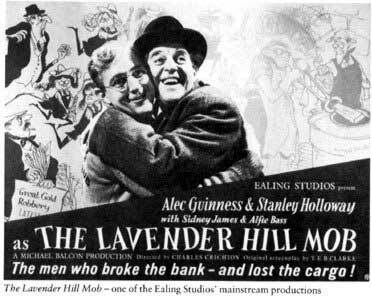 Alec Guinness (Holland), Stanley Holloway (Pendlebury), Sidney James (Lackery), Alfie Bass (Shorty).